Like measles and chicken pox, it is also a contagious disease but it is more fatal. Eruptions all over the body and sore-throat are the principal symptoms. It chiefly affects children. Sudden chill, high temperature, thirst, headache and vomiting. Within 48 hours, bright-red eruptions appear at first in the breast, then extend to every part of the body. Fever and rashes begin to decline in about 5 days and on the eighth or ninth day entirely disappear leaving the patient very weak. 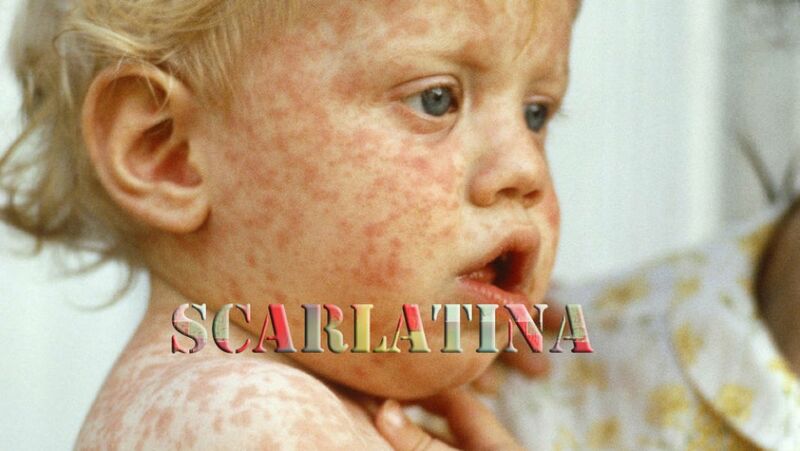 Distinction between measles and scarlatina—In measles catarrhal affections such as sneezing, cough, watering of eyes are the primary symptoms but in scarlatina no such symptoms are found. In measles eruptions appear after 3 or 4 days but in scarlatina, they come out within 24 hours. Simple—Red eruptions, cheeks red but no sore- throat. Bell, 3; Acon. Nap. 3x; 30; Arsenic 3x are the common medicines. Anginold—Cheeks reddish, sore-throat, neck swollen. This is very serious; if not properly treated, it sometimes becomes fatal. Bell 3, Apis 3, Bin. 3 (trit. ), Crotalus 3, Echinacea 0 are the principal remedies. Malignant—Fever with chill, high temperature (even rising to 110° F), delirium, senselessness are the important symptoms. Eruptions do not appear; if they appear may become rather blackish. In certain cases, the patient dies before the eruptions come out. Ailanthus 1x, Acet. 3x. Arsenic 3x, Acid Mur. 30—are the chief remedies. Preventive measures—Belladona 1x should be taken thrice daily.